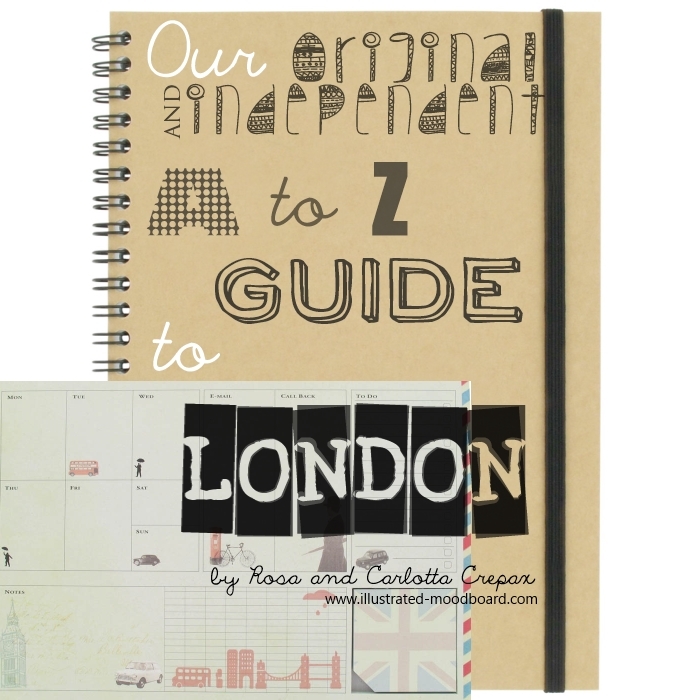 Here is a little A to Z guide we put together to share with you our favourite spots/bars/clubs/shops/locations in London. Some of them are classics, others you may have never heard of. Questa è una piccola guida che abbiamo creato per riunire e condividere con voi tutti i nostri posti/locali/club/shop preferiti di Londra. Alcuni sono dei classici, di altri invece potreste non averne mai sentito parlare. 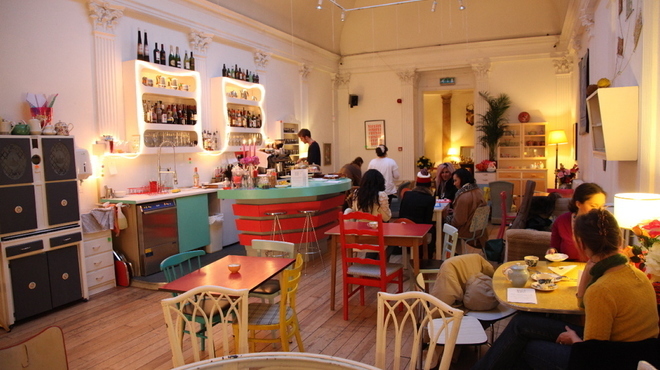 Drink, Shop & Do is a relaxed and lovely vintage-looking bar, the perfect location for a late-afternoon cup of tea with the girls on a rainy day. You will not only get delicious tea and cakes but you will also be amazed by the range of quirky activity nights, mostly based around crafts, hosted there. Drink, Shop & Do è un locale in arredato in stile vintage, dall'atmosfera rilassata, la location ideale per un tè con le amiche in una giornata di pioggia. Non solo potrete ordinare un delizioso tè con pasticcini, ma potrete anche dare spazio alla vostra creatività creando lavoretti in tema con la serata organizzata. Every summer, the Royal Albert Hall hosts the world's largest classical music festival. The seats of the arena are removed to make place for standing places which are sold on the day. If you buy your ticket on site last minute you will pay only £5! 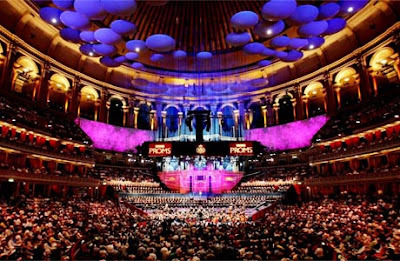 Ogni estate la Royal Albert Hall ospita il festival di musica classica più grande del mondo. Le poltrone della platea vengono rimosse per far posto agli ospiti con biglietto standing. Questi biglietti vengono venuti di giorno in giorno. Se andate ad acquistare il vostro sul posto, un paio d'ore prima che inizi il concerto, pagherete solo £5! 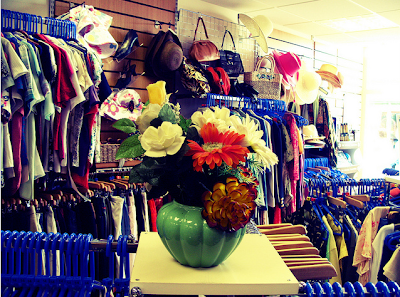 There's nothing strange about the fact that London's charity shops are loved by fashion-lovers. You can pick up some really great bargain vintage designer (but not only) clothes and accessories. With labels like Dior, Vivienne Westwood, Marc Jacobs, Miu Miu at incredible prices! Here are only a few names: Oxfam, British Red Cross, Salvation Army, Barnardo's, British Heart Foundation, Cancer Research UK, Octavia Foundation, YMCA Boutique. Non c'è da stupirsi del fatto che i charity shop di Londra siano frequentati dagli amanti della moda. Infatti ci potete trovare capi di abbigliamento e accessori vintage di marca (ma non solo) a prezzi stracciati. Per esempio, Dior, Vivienne Westwood, Marc Jacobs, Miu Miu a pochi pound! Per fare qualche nome: Oxfam, British Red Cross, Salvation Army, Barnardo's, British Heart Foundation, Cancer Research UK, Octavia Foundation, YMCA Boutique. 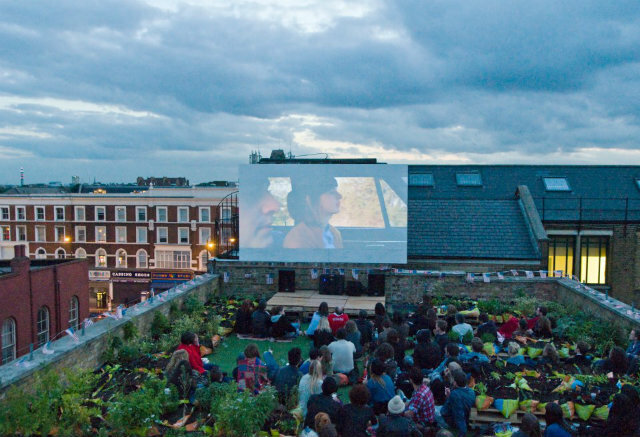 Dalston Roof Park is probably the coolest rooftop in East London. Picture a bar with grass flooring, grow-bags, beer and wine in plastic cups, a frozen margarita machine, and an event calendar which includes free outdoor film screenings! Quello del Dalston Roof Park è probabilmente il tetto più cool di tutta East London. Immaginate un locale con pavimento di erba, piante nei sacchi di terra, birra e vino serviti in bicchieri di plastica, una macchina per fare il frozen margarita, e un calendario di eventi che include proiezioni di film all'aperto gratuite! 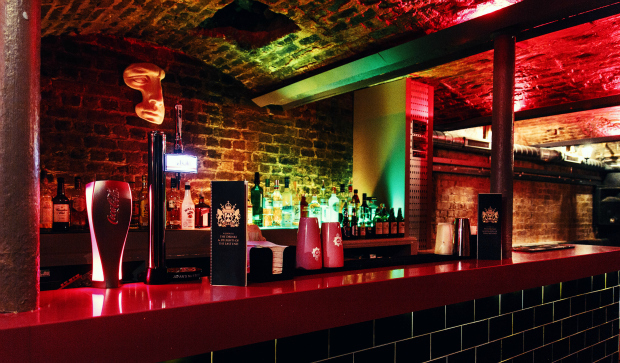 By East London we mean Brick Lane, Shoreditch, Bethnal Green and Spitalfields. The bars and clubs you should pay a visit to in this area are just too many to be listed. Con East London intendiamo Brick Lane, Shoreditch, Bethnal Green e Spitalfields. Sono troppi i bar e club da visitare in questa zona per essere elencati tutti. 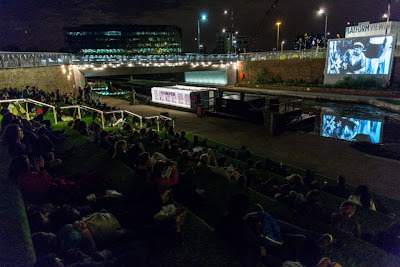 The Floating Cinema is an old boat transformed into a pop-up cinema! It navigates London's canals screening films on-board. There are also larger outdoor screenings in different locations. Il Floating Cinema è una vecchia barca trasformata in cinema pop-up! Naviga per i canali di Londra con film proiettati al suo interno. Ci sono anche spettacoli per un pubblico più ampio in diverse location della città. 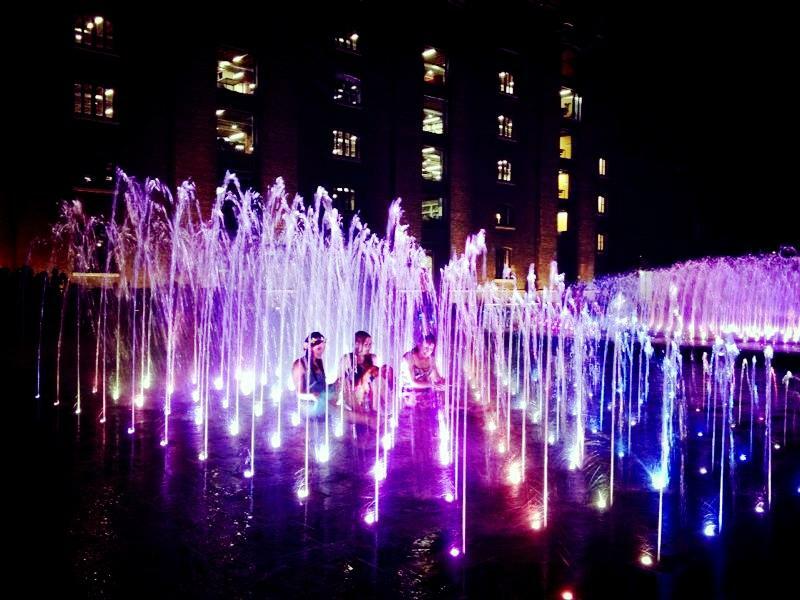 Granary Square is the newest London square in the heart of King's Cross. 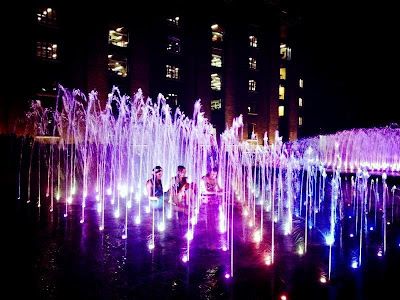 It features a series of stunning coloured fountains that blast out water at different heights. It's always fun to play with it, especially after a hot sunny day (yes, it's us in the picture :D). There's also a pop-up roller rink for amazing roller disco nights and awesome artificial grass steps where you can have a picnic while watching the canal. Granary Square è la più nuova piazza di Londra nel cuore di King's Cross. C'è anche uno spazio per pattinare con divertentissime serate roller disco, e una piacevole gradinata di prato artificiale dove potrete fare un picnic guardando il canale. Hapstead Heath in North London is a large and wild park with woods, ponds, fields to run in and wild animals (foxes, squirrels, rabbits, deers and frogs). Hampstead Heath nel nord di Londra è il parco più "wild" della città, con ampie distese d'erba in cui correre, boschi, laghetti, e animali (volpi, scoiattoli, conigli, cervi e rane).